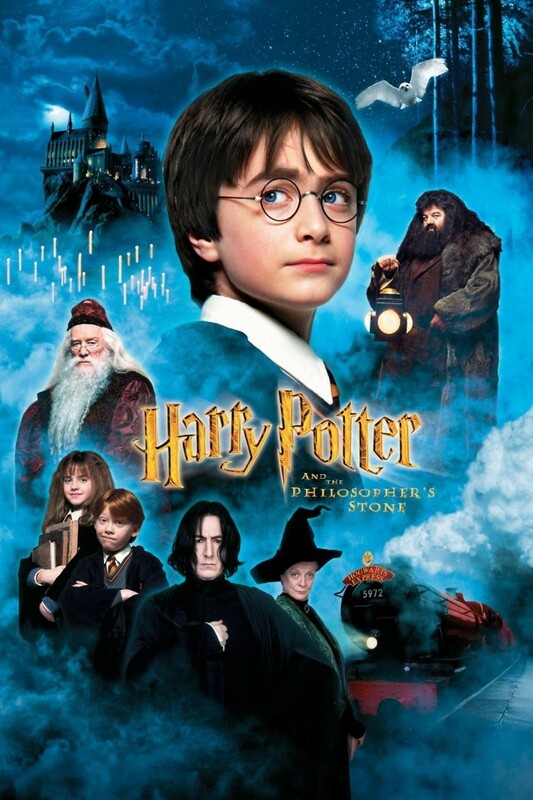 Harry Potter is a young British orphan who attends Hogwarts School of Witchcraft and Wizardry, where he discovers new friends and plenty of adventures. Along with the Hogwarts Headmaster, Albus Dumbledore, Harry becomes close to a wizard and witch in his school house of Griffandore, Ronald Weasley and Hermione Granger. The three friends soon find themselves involved in a mystery as it seems someone wants to hurt Harry. Although Harry suspects that Professor Severus Snape is the one trying to harm him, he finds out that Professor Quirrell, acting under the direction of Lord Voldemort, is the wizard who's actually attempting to kill him. With help from his friends, Harry is able to defeat Quirrell, but Voldemort's fate is left up to question, leaving Harry to wonder if he's truly safe.